KATHMANDU, Oct 16: Sixty-two years after the then-Soviet Union launched its first satellite into outer space, Nepal is finally preparing to send its first 'nanosatellite'. According to Nepal Academy of Science and Technology (NAST), the nanosatellite whose design has already been prepared will be launched from NASA's rocket launch site in Florida, USA by August 2019. “If things go as planned then Nepal will launch its first nanosatellite by August 2019. This will be a milestone in the science and technology sector of Nepal,” said Chief of the technical department of NAST Rabindra Dhakal. The academy has already sent two scholars from Nepal under a scholarship program to Kyushu Institute of Technology (Kyutech) in Kitakyushu of Japan to expedite the preparatory works to launch the satellite. Avash Maskey and Hariram Shrestha have been selected under a postgraduate study program at the institute, which has been helping the nations that have not been able to operate their own space missions. The UN supports the program. 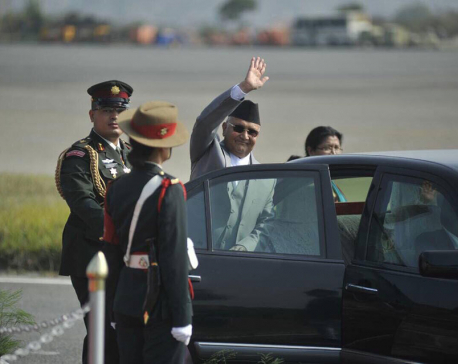 On January 17, Nepal reached an agreement with the institute to construct the nanosatellite. Dhakal informed that a seven-member team led by Avash Maskey is involved in the construction of the satellite. The preparation works have also been assisted by students from Sri Lanka, Japan, Bhutan and Mongolia while a senior scientist from Kyutech has been supervising the work. Nepal government has already provided Rs 18 million to Kyutech for the launching of the satellite from NASA and acquisition of materials needed for building the satellite. Member secretary of NAST Buddhi Ratna Khadge claimed that NAST is doing the needful to complete the satellite on time. “Nepali experts in coordination with Kyutech have been working on the preparation of the satellite. NAST has also been assisting them,” he said. NAST said the satellite will cost between Rs 20-30 million and weigh 1.33 kg. The pictures captured by the nanosatellite from space will make it possible to collect information on floods, landslides, wildfires, landslides and other natural disasters. It will even make it possible to study the trend of rapid urbanization in Nepal. According to Dhakal, the satellite will also make it possible to find out the epicenters of earthquakes. However, the nanosatellite will not be able to create a web for telecommunications and internet. A bigger satellite will be required to do such work and such a satellite costs around Rs 600 billion. Dhakal informed that a unified network of nanosatellites can be formed so as to develop 'sky-fi' needed for internet television. He added that if the cameras of the satellites are upgraded, the network will also be helpful in carrying out scientific investigations. He added, “At least 20-30 satellites will have to be launched to expedite the satellite project of the government.” The satellite to be launched in August will travel past the Nepali sky 3-4 times a day totaling 5-6 minutes above Nepal. Sri Lanka and Japan too are set to launch their nanosatellites in August 2019 along with Nepal. Nepal's dream of launching its first satellite is not a new one. Thirty-five years ago, in 1983, the International Telecommunication Union (ITU) had set aside two spaces for Nepal for launching its satellite by 2015. After Nepal failed to launch its satellite within than date, the government requested the ITU to extend the deadline and the request was accepted. The Nepal Telecommunications Authority had two years ago mulled launching a bigger satellite and an international tender was called but the process failed to make headway. Spokesperson of the Ministry of Communication and Information Technology Ram Chandra Dhakal said there has not been any progress on launching a bigger satellite.